Bucha Luang Phor Chob Wat PaSamMaNokSorn BE2534. 5 inches based. Bucha Phor Than Lek Wat Ariyakiri BE2534. Total made 200 pieces only. Blessed by Phor Than Thian, the current abbot of Wat Ariyakiri. First Batch Rian Luang Phor ThongPhoon Wat PaSaMaChiPhuPhaTam BE2518. Back with Pitta, Phim Niyom. It won No1 Placing in Thailand Nakhon Rachasima Grand Amulet Competition on 20th March 2016. Second Batch Rian Nak Lek Long Phor Chong Wat Natangnok BE2485. Copper material. It comes with Silver Longya casing. First batch Rian Kruba Nanta Wat TungManTay BE249x. Kruba Nanta is the good friend of Luang Phor Noi Wat Sisathong who very famous in Thailand for his Rahu. Kruba Nanta also the master of Kruba Lert. Considered 1 of the best Rahu Maker. It comes with Gold waterproof casing & Sammakom Certificate for authenticity. Pidta Ngern Lan Luang Phor Unn Wat Tankong BE2543. Nur Phong with 1 Gold Takrut. Can easily see LP’s hair on the amulet. It won No4 Placing in Thailand ChaengWattana Grand Amulet Competition on 2nd October 2016. Pidta Lang Dtao Luang Phor Toh Wat Praduchimplee BE2521. Nur Phong Bailan with 1 takrut, made 900 pieces only. This Pidta was intended to be the second batch of Pidta Jumbo which called Pidta Jumbo Sorng. The shape is similar but smaller than Pidta Jumbo Neung. However, people realized that the knees were too big. 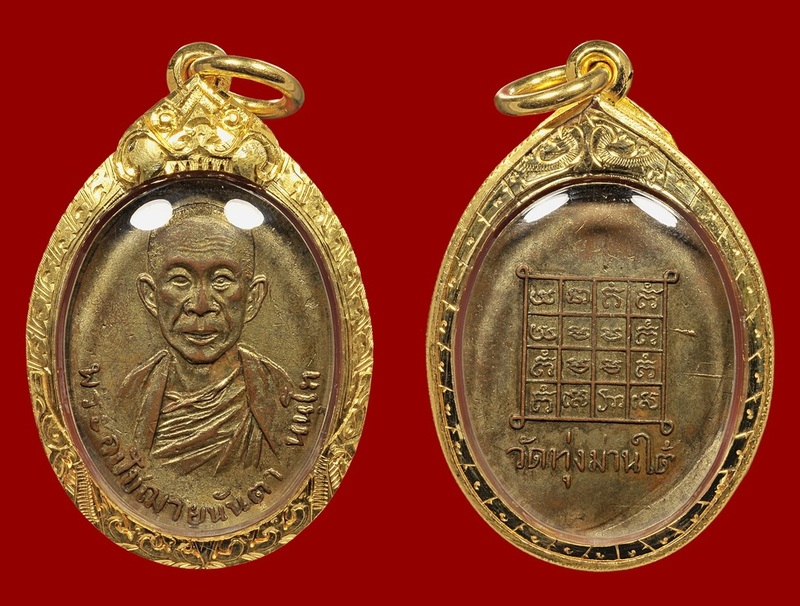 Luang Phor Toh saw the final product and remarked that the back of the amulet is a bit curvy like the back of a turtle. Hence, this batch of Pidta is named as Pidta Lang Dtao. 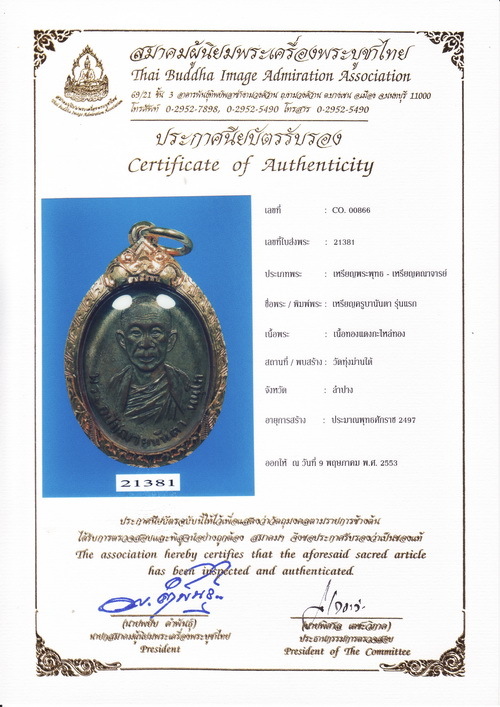 It comes with Thaprachan Amulet Authentic Certificate. Attached with Gold Waterproof casing. It won No1 Placing in Thailand Lampang Grand Amulet Competition on 27th November 2016. Phor Than Lek Second Batch Daolit Phim Laugh Face, Wat Ariyakiri BE252x. 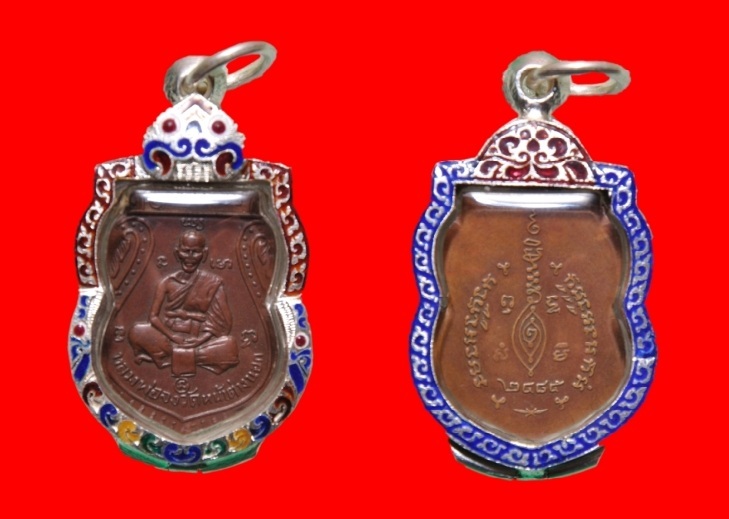 Khunpaen Phor Than Long Kelantan BE2519-2523. Herb material mixed with pinatang powder. Phor Than Long was the disciple of Phor Than Lek Wat Ariyakiri. This khunpen is very good in metta and receiving many good feedback from collectors. Somdej Prok Pho Luang Phor Pilan Wat Rakang BE2407. This Somdej mixed with Phong Bailan and 5 kinds of holy powders of Somdej Toh, which are Phong Pattamang, Phong I-thijay, Phong Maharaj, Phong Buddhakhun & Phong Tri Nisinghe. 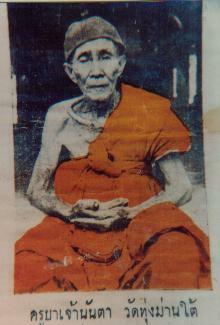 Luang Phor Pilan was the disciple of Somdej Toh. This Somdej also called Phra Sorng Somdej which means two Somdej made it together. It won No4 Placing in Thailand Nakhon Pathom Grand Amulet Competition on 28th August 2016. Attached with Gold Waterproof casing. Singha Luang Phor Sin Wat Lahanyai BE2557. Black Buffalo Horn material.